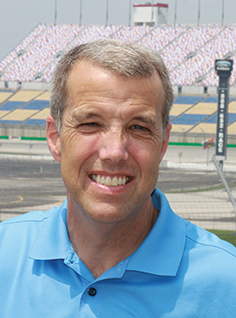 Mark Simendinger has served as the general manager of the Kentucky Speedway since it was acquired by Speedway Motorsports Inc. in 2009. As the speedway’s only president, Simendinger played an integral role in the construction of the facility from its 2000 inception by spearheading planning, development, financing and operations. Before assuming his present position, Simendinger was president of Turfway Park Race Course, a Thoroughbred track in Florence, and was president of Carroll Properties, a real estate development firm. 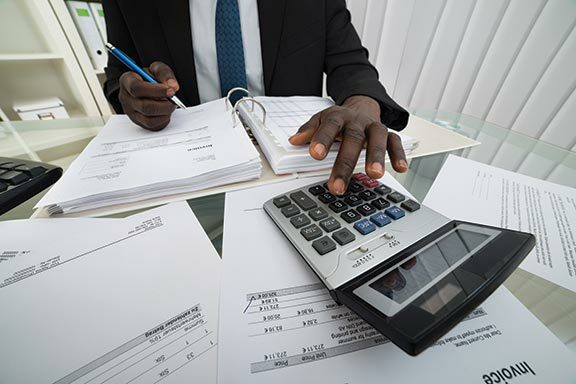 Simendinger, who earned a degree in accounting from the University of Notre Dame, currently resides in Edgewood. He and his wife, Lori, are the parents of five children. Mark Green: How does motor racing fit into the broader sports realm? Mark Simendinger: The NASCAR Sprint Cup is the major league of not only motor racing but it’s one of the nation’s major league sports. 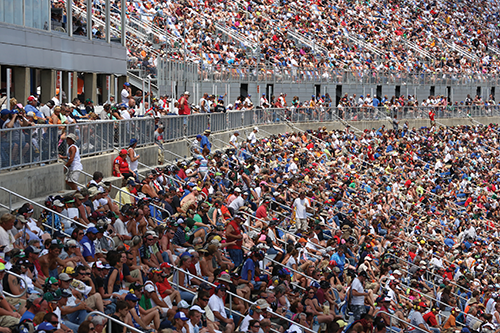 NASCAR has a lot of sports fans who just like to be at big events. People want to see the best of any sport. They want to come see the stars they’ve heard of on “Sports Center”: Dale Earnhardt Jr., Jimmy Johnson. National TV introduces NASCAR to a lot of sports fans. Another great thing for Kentucky Speedway is that our race date is at the end of June when there’s not a lot of football going on, for instance, so many football fans focus on our Sprint Cup race. MG: The signature event for the track is the annual Quaker State 400. 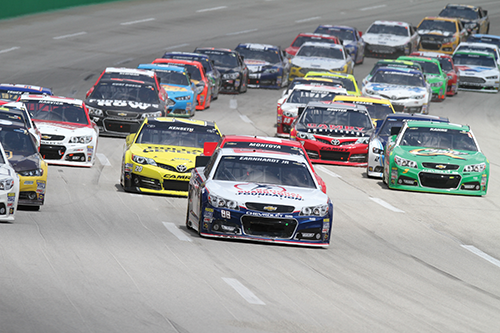 How many and what other sorts of events take place at Kentucky Speedway throughout the year? MS: The Kentucky Speedway has two major race weekends. The Quaker State 400 race weekend this year had three NASCAR-sanctioned races – the Sprint Cup level, and below that is the Nationwide series, and below that is the truck series. We have all three here in June. It’s a big triple-header weekend, NASCAR’s best are all here at one time. In the fall on Sept. 20 and 21, the speedway hosts the Arca Midwestern series race. Arca is its own sanctioning body. We’ll have that stock car event on Friday night, and the Nationwide series will come back on Saturday night. That is close to the end of the year, so that race always has a lot of championship implications. Outside of racing, the speedway offers a lot of activities. Driving schools rent the track from us. They are independent businesses and put their show together and get their customers and market their schools. We have team testing; Arca cars yesterday had 15 teams here testing. We host car shows. We’ve got an import car show here this weekend. It’s a big show with thousands of import cars here. The speedway has a quarter-mile track inside the big oval and on that track we have a lot of small “legends car” racing for motor sports enthusiasts. If you want to go buy a legends car and just start to race, it’s a great place to start. Almost every weekend there’s something going on here. MG: How many permanent and seasonal employees does Kentucky Speedway have? 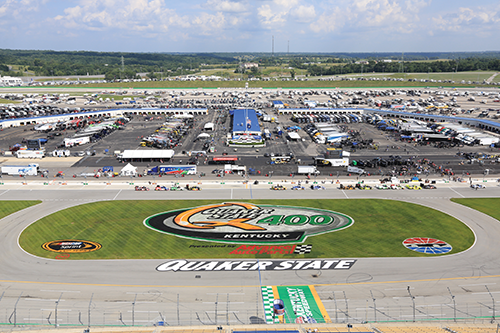 The Quaker State 400 race at Kentucky Speedway in late June brings major league sports action and its multiple levels of marketing along with more than 100,000 spectators for the NASCAR Sprint Cup series event in Sparta, Ky.
MS: We’ve got about 55 permanent employees year round. Seasonal, when we have an event, that’s a great question – it’s not just our employees, because you have a lot of vendors. We probably have 4,000 people get a worker pass when we have a big race event. MG: What kind of attendance and revenue figures does Kentucky Speedway currently generate? MS: The speedway doesn’t disclose all that kind of information because it’s part of a publicly traded company that owns eight speedways. Our corporate information is disclosed; but information regarding individual racetracks is not. MG: What is the track’s capacity, and is there an average ticket price? MS: The speedway has 107,000 grandstand seats. That doesn’t include suite-level seats, campers all through the infield and down the backstretch, and some of the handicapped seating. It also doesn’t include a hospitality area in Turn One. So our capacity is even higher than 107,000. Grandstand tickets range from $70 to $110 face value, but we have had a product called the Coca-Cola four-pack a lot of people took advantage of. Four tickets are $169, and you got some Cokes and hot dogs with that. There are deals you can get if you look hard enough, depending on who our partners are that sponsor certain things. MG: Obviously attendance is a major revenue stream, but what are some of the other revenue streams a facility like Kentucky Speedway generates? MS: Probably our biggest revenue stream now is media rights to the networks. Sports is undergoing a period of very high popularity. Media companies are expanding their sports content. You’ve got ESPN, ESPN2, ESPNU, ESPN digital, ESPN handheld and radio and everything else. ABC has ESPN, and ESPN has become enormously profitable. NBC purchased the Versus network and rebranded it NBC Sports Network. Fox, which owned the Speed channel, is rebranding that Fox Sports 1. CBS has CBS Sports Network. All of the major networks are getting into the all-sports platform and need content in order to gain credibility. If you control content, it’s a very good time for you. That has been very beneficial for NASCAR. One of the big challenges for television networks is getting people to watch an event live as opposed to recording and flipping through the commercials. Live sports is compelling television because people want to watch races live, so the value to advertisers is especially high relative to other advertising opportunities. NASCAR translates very well to television. There’s a lot they can do with it, it’s fun. In-car cameras, cameras embedded in the racetrack. You can sit in your home and if you’ve got a good surround sound system, you can really get a great experience. The NFL has done this even well beyond what NASCAR’s ever done; that’s where the value of a lot of these NFL franchises is: They’ve got a product that translates very well to television, there’s a scarcity of supply and significant demand, so prices go up and so do media revenues. Beyond television, there’s a whole content equation on who has rights to handheld, which is more and more popular. Who has rights to all digital? What about replays, all that kind of stuff? It’s a significant part of the business. NASCAR’s done a great job. It used to be that every track had to go out and cut a deal with whomever. NASCAR said we’re going to consolidate all the rights, we’re going to split it back out. It was a very wise move and it has proven to be good for the whole. MG: Has NASCAR been ahead of the curve in marketing itself, especially to some of the media platforms, compared to some of the other major league sports? MS: The NFL’s done about as good a job as you can do, but I think NASCAR saw exactly the way things were going to go at an early time and took advantage of it. The very first race on TV was on ABC’s “Wide World of Sports.” They did the Daytona 500 only 30 or 40 years ago. They’ve been very progressive and realized they’ve got not only unique content, but they’ve got about the only content that people watch during football season at a major league level outside of the World Series. MG: What is the geographic footprint of the track’s fanbase? 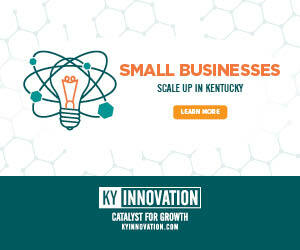 MS: Our primary markets are Cincinnati, Dayton, Louisville, Lexington, generally the state of Kentucky. We do very well throughout the state. When we got our first Sprint Cup race, we had a small database of Sprint Cup customers; we started from zero. Now we’re into year four and we’re starting to significantly identify trends. We’re expanding our fan base and people know who we are. Just like every other business, we’re reliant on the quality of our database and we want to have those conversations with our customers. The digital age makes it a little bit easier, but still it’s a challenge for us to reach as many people as we want throughout Kentucky. MG: Does Kentucky Speedway’s geographic location afford it a larger or smaller fan base than some of the other tracks? MS: Generally larger. In addition to the primary markets, we’ve got secondary markets that are good: Columbus, Ohio; Indianapolis; Nashville and really all of Tennessee; West Virginia. If you look at the television ratings in every single one of those, NASCAR ratings skew 150-200 percent of the national average. Dayton, Ohio, is a top-five market for Sprint Cup series. Our markets have a core of people who are one and a half to two times more likely to consume the product on television than the general public. It’s very encouraging. When you draw radius rings around Kentucky Speedway, you keep picking up cities in every direction. It’s not like we’re at Homestead, Fla., and you draw radius rings and pick up a flounder and a sailfish, or you’re out in the Midwest and you pick up sage brush. Everything around here is another city. This is a great location for large regional events. That’s what the speedway is designed for, that’s what we’re good at. The smaller the event and the drawing radius, the harder it is for us to make money. That’s why the NASCAR Sprint Cup series is so good. It has a legitimate 300-mile drawing radius. MG: Help our readers understand the historical perspective that’s brought Kentucky Speedway to where it is today. Explain briefly how the previous owner built the facility, but was unable to secure a Sprint Cup race and eventually in 2008 sold to the current ownership, which did upgrades and did get a Sprint Cup race. MS: Jerry Carroll was the primary owner of Turfway Park along with John Lindahl and myself. Jerry was the driving force. We were trying to figure out how to make Turfway Park a better asset. Bob Levy, who owned Atlantic City Race Course, said have you guys thought about NASCAR? The more Jerry got into it, the more he realized this is a big deal. We did a lot of feasibility work and it became apparent we were not going to be able to incorporate that into our situation in Florence. Lt. Gov. Jerry Abramson, from left, brought a state proclamation declaring NASCAR Week to the Quaker State 400. 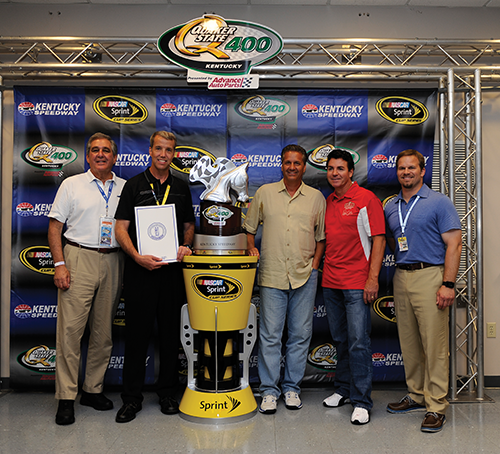 With him are Kentucky Speedway general manager Mark Simendinger, University of Kentucky basketball coach John Calipari, Papa Johns Pizza founder John Schnatter and Speedway Motorsports President Marcus Smith. Jerry tells me to start looking for sites … about a thousand acres. It’s got to be on an interstate. We’ve got to be able to get zoning and develop it, we’ve got to be able to have two interchanges to service it. And it can’t cost too much. I ended up with a guy who owns land next to here. It’s really hilly, and I came back and told Jerry, “I don’t think it’s going to work.” Well, Jerry was contacted by Judge Executive Clarence Davis here in Gallatin County. There were three or four owners, and he’d gone to them and said, “If I can pull this off, would you guys sell your farms?” Clarence showed him around and said the land owners want this, this, this and this. And it was reasonable, so we took an option on it and then we met with Paul Patton, who was the governor. Jerry Carroll is one of the greatest developers I’ve ever seen, so he’s got everything. If we’re going to spend the kind of money it takes, which is roughly $100 million, we were going to need some road infrastructure help. Gov. Patton is very intelligent. It doesn’t take him long to figure out what we want to do, that this would be a great thing, and he says OK. We’re prepared for hours to go over all this stuff. We’re 15 minutes into it, and got everything we wanted. That’s how we got started and located here. Once we did, we went in search of getting that Sprint Cup race. We started out, all we had was a truck series race for NASCAR. Then we got an Indy car series race; we ran that for several years. After our first truck series race, NASCAR awarded us a Nationwide series race. That was our biggest race until 2008, and we kept trying to get a Sprint Cup race. There was a pretty high-profile antitrust lawsuit by our ownership group against NASCAR. Ultimately NASCAR prevailed, and when that happened our ownership group sold the speedway to Speedway Motor Sports, headed by Bruton Smith, which had an inventory of Sprint Cup races. NASCAR policy allows owners of tracks conducting races to request to realign races within other tracks they own. Bruton Smith controls 13 Sprint Cup races. Atlanta had two, and he thought realigning one in Kentucky and leaving another in Atlanta, which has a very successful race Labor Day weekend, would be the right thing to do. 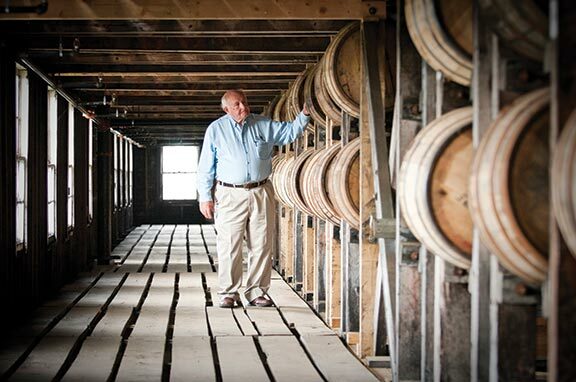 After Bruton Smith bought the track, he invested close to $100 million more in improvements. Most notably are these two big multicolored-seat grandstands. He did a whole lot of infrastructure improvement: We ended up buying more land and putting more parking, flattening parking out, a lot of interior access roads for tram vehicles and moving people around – infrastructure stuff we had to do to get ready for the type of crowds we were going to have at the Sprint Cup level. It was the vision of two people: Jerry Carroll’s initially and then Bruton Smith, who saw what Jerry had done and what it could be beyond that. Honestly, if it wasn’t for Bruton Smith, we still wouldn’t have a Sprint Cup series race. MG: When Kentucky Speedway held its first Sprint Cup race in 2011, there were logistics complications that made the news far beyond the border of Kentucky. How did you go about addressing those problems? MS: It was really disappointing because that should have been a hugely successful day not only for the speedway but the whole state. It was lined up to be a huge success to the magnitude I may never see again. Conversely, when you mess up, it’s bad. We had a traffic plan that just totally broke down. There’s just no excuse for it. 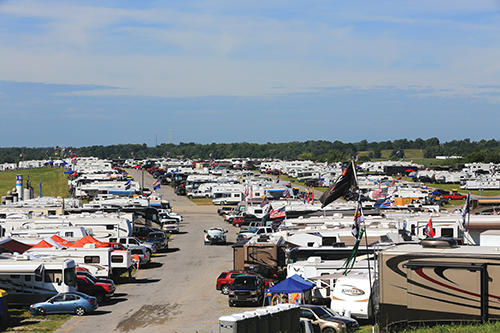 The 1,000-acre Kentucky Speedway site in Sparta, Ky., includes hundreds of acres of camping and motorhome sites. Addressing it didn’t take long. We announced our plan with the state in August and the race was end of June, so it took us about 30 days to put it all together. Anecdotally I had some ideas, but that’s not the right way to go about doing something. When you have a horse that does not perform, you go over it from head to toe and hope you find something, because if you don’t find anything wrong you’ve just got a slow horse. From step one to step 100, I looked at every single thing we did: the plan, the execution, the parking, the size of the infrastructure, the number of parking spots, all of that. I found at every level there were things that could be improved upon, so I didn’t have a slow horse. I give a lot of credit to Gov. Steve Beshear, who was on the phone with me immediately following the race. We came up with a comprehensive plan. We looked at infrastructure first. With the state taking the lead, we were able to widen roads where we needed. We were able to widen the exit ramp off of I-71. Widening Route 35 right in front of the speedway has been a big help. We needed more parking and were able to get land across the street from the speedway, and the state built a large tunnel so we would keep those people out of traffic. It was a critical component because the state was adamant that we cannot have cars backing up on the interstate like we did; it’s a safety problem. The Kentucky State Police helped streamline our traffic management. They took ownership of it and have done an excellent job. We made some changes in personnel. We have a parking company and worked with them on better methods of getting people parked in a more efficient manner. A company called Stantec created a computer simulation model of the changes. We needed a dry run; the next best thing for us was a very sophisticated, unfortunately very expensive, computer simulation model. You can run it in real time and see how the cars go. It wasn’t one thing, but it was improving everything. The last two years, the speedway hasn’t had a single car back up on the way in yet. But a lot of people remember. You never really shy away from it, it happened. The good thing is we learned from it and then moved on. MG: There has been a lot of interaction with local, regional, and state officials. How would you describe your relationship? MS: It’s ongoing and continuous. We have a great relationship with the state and have through three administrations now – Patton, and then Gov. Ernie Fletcher, and Gov. Beshear – whether it’s at the governor’s level, or it’s with Secretary (of Transportation) Mike Hancock, or the secretary of tourism or anybody else. Then it flows down. Traffic-related, we do a lot of work with District 6 locally. We work together at race time. You just don’t wake up and go out and start putting cones in and signs in place. We went through the permitting process hand in hand with District 6. Our Kentucky State Police who are doing all that traffic planning and our operations team all work hand in hand. MG: What kind of economic trends are you seeing right now among your fans, vendors, teams? 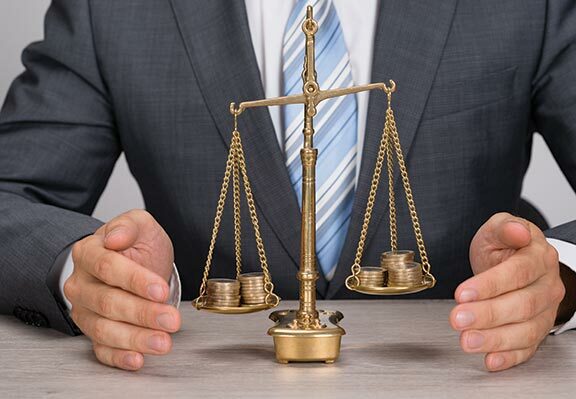 What’s your sense of the broader economy? 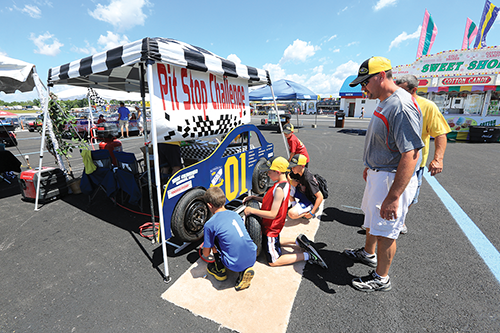 Kids practice being pit crew members at Kentucky Speedway. MS: It is better this year than last year. Not as good as it was, but I’m somewhat optimistic. I would say that corporate spending has rebounded somewhat. It’s changed in our sport, but what we’re seeing is probably a very encouraging trend: The number of companies that want to do business with us and are spending money with us is increasing. The average spend is probably not where it was before the recession, but very few companies that spend with us leave altogether. There are some drags. Spikes in fuel prices hurt us because people come from a fairly far distance. The other thing from a broader perspective and people buying tickets is the overall functional unemployment rate. It’s great that the DOW’s at 15,500, but there’s a lot of our fans that doesn’t affect much. What affects them is they need a job. When we can get the unemployment rate back down and get more people working, that’s really going to help us. MG: Racing has a very blue-collar reputation, but there’s a lot of sophisticated business activity and relationships taking place. MS: Huge. Yes, very much so. Very sophisticated. MG: Would you explain some of that company spend, corporate hospitality and suite sales? MS: There are different components of that. We have series and team sponsors. Sprint, for instance, has a huge investment in motor sports because they’re the title sponsor of the Sprint Cup series. The series sponsors and the NASCAR sponsors, there are certain sponsors that are part of the show; they come with it. Team sponsorships are another component. This is one of the strengths of NASCAR. Some huge Fortune 500 companies are participating. You go down the list of top drivers: every one of those may or may not choose to do something in your market. Brad Koslowski won our race last year. When Brad comes into town, Miller Light wants Brad to activate their sponsorship with their key accounts in this market. Events will translate into them buying some tickets. The more of those that come together … you gain strength. When you see drivers in ads or appearances, this stuff is orchestrated. It’s a big part of us promoting a race and getting people interested in the race. The Kentucky Speedway grandstands 107,000 seats with ticket face values ranging from $70 to $110. We couldn’t do it without our sponsors. We have to have them. One of our best sponsors is Ford. They co-brand their advertising during our sales season leading up to the race, bringing attention to the Quaker State 400 and Kentucky Speedway the whole time that they’re promoting Ford products and Ford racing. It makes a huge difference for us. You can imagine the multiplier effect if you’ve got great partners like that, as opposed to if every single thing I have to do is my own messaging and I don’t have partners like Ford and Coca-Cola. You drive around town and see Danica Patrick up on billboards, that’s because Coke is partnered with us and they want to help promote the race. MS: This is a very rewarding position because the Kentucky Speedway has been able to do something that a lot of people didn’t think was ever going to be possible: bring major league sport to Kentucky. While I was disappointed with the traffic in 2011, I’m also realistic enough to know that we’re three years into our history right now. I’ve raised five kids and some of them fall down and scrape their knee and you patch them up and get them back up there and you keep them walking. The speedway has come a long way in a short time, and it’s going to continue to just keep getting better and better.